Krex® works well with all types of paint but it is especially powerful when using water-based paints. When natural bristles are immersed in water they swell and, with the increase in volume, are no longer able to guarantee fast, good quality work. On the other hand Krex® absorbs very little water, does not swell, and maintains excellent unchanged performance. Krex® is a synthetic monofilament extruded from a mixture of polyesters adequately integrated with special additives and pointed by a chemical process. The monofilament thus obtained has a conical shape and maintains an elasticity similar to natural hog bristle but is particularly soft on the head and does not require further treatment prior to use. It is resistant to almost all acids, oxidizing agents, many solvents, hydrocarbons, oils and lubricants. It is attacked by strong alkalies such as concentrated solutions of sodium hydroxide (caustic soda) and calcium hydroxide (slaked lime), ammonia, trisodium phosphate and sodium carbonate. PURE BLONDE OR BLACK BRISTLE BRUSH Natural bristle derived from pigs of Chinese origin. Naturally conical, with grain-finished tip. Of organic origin, it absorbs highly fluid products with an increase in volume. Ideal for brushes suited to spreading paints on large surfaces. Not suitable for basic products. Not suitable for water-based paints. Wash and brush the product before use to remove any residues of bristles resulting from the production phase and from shaving and to return natural moisture to the bristle. MIXTURE OF PURE BLONDE BRISTLE AND PET / PBT EXTRUDED POLYESTER MONOFILAMENTS Monofilament with holes of different diameters, or full. Tip finish: tubular, pronounced flower, full tip (chemical pointing). Taper: tubular 0%, filled with chemical pointing 40%. Good resistance, flexible, compact. Resistance to chemicals. – The pure PET/PBT: holds liquids by adhesion strength. – Mixed with natural bristles: moderate absorption of liquids according to the percentage of bristles used. Wall paints / enamels and solvent primers After use, wash with warm water to remove paint residues to avoid hardening of the fibers. Pat the bristles with a cloth to remove excess moisture and store the bristles downwards avoiding placing them on a flat surface. KREX® SYNTHETIC MONOFILAMENT Synthetic monofilament extruded from a mixture of polyesters integrated with special additives and pointed by a chemical process. The monofilament thus obtained keeps high elasticity at the base, it is particularly soft in the head and does not require additional treatment before use. No absorption: holds liquids by adhesion strength. 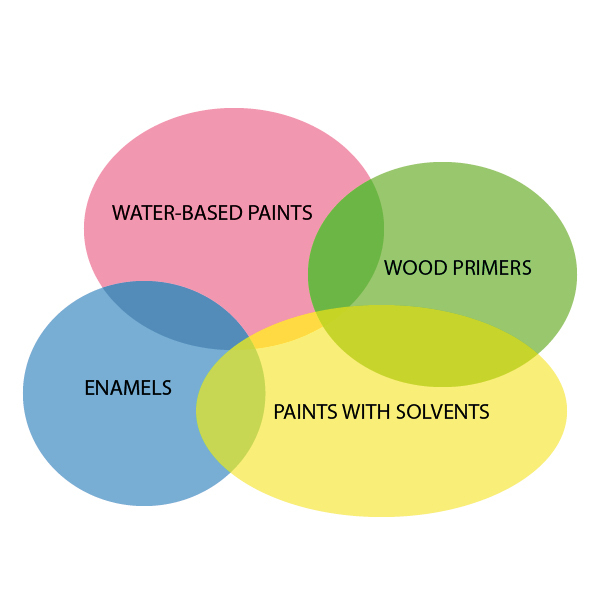 Enamels / Water primers / wall paints After use, wash with warm water to remove paint residues to avoid hardening of the fibers. Pat the bristles with a cloth to remove excess moisture and store the bristles downwards avoiding placing them on a flat surface. OREL® SINTHETIC FIBER Polyester PET / PBT in three-lobed perforated section. Taper: 100%. Pronounced flower finish performed by a mechanical process. Absorption: none, holds liquids by adhesion strength. Water-based primers and enamels After use, wash with warm water to remove paint residues to avoid hardening of the fibers. Pat the bristles with a cloth to remove excess moisture and store the bristles downwards avoiding placing them on a flat surface.